The Hobbit: The Battle Of The Five Armies - Smaug Figure. Check out this exclusive, limited-edition Smaug figure with a 22-inch wingspan, available only at HobbitShop.com!. 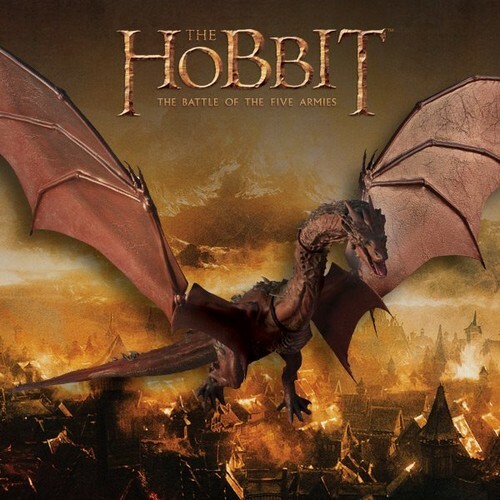 Wallpaper and background images in the 호빗 club tagged: photo the hobbit the battle of the five armies 2014 smaug figure. This 호빗 photo contains 애니메이션, 만화, and 만화책. There might also be 기호, 포스터, 텍스트, 칠판, 사인, 서명, 부케, 코사지, 꽃다발, posy, nosegay, and 코 사지.